What Would Americans Do With an Extra Couple Hundred Bucks? That’s not a hypothetical question. Falling gas prices mean the average household will be about $700 richer this year. For most Americans, trying to cut back on bills involves a mix of discipline and sacrifice: Moving into a smaller place, searching for sales at the grocery store, or forgoing air conditioning on hot days, for examples. But drivers around the country have been getting a reprieve without any effort thanks to falling gas prices. So what are they doing with the unanticipated bonus in their bank accounts? Not saving it, a new report from J.P. Morgan finds. The price of gas peaked at about $3.70 a gallon in 2014. At present, that price has declined by about $1.50. While those single-gallon prices might seem insignificant, they add up. Take the example of a Toyota Camry, one of the nation’s top-selling cars with a fuel tank that holds around 17 gallons: Filling a totally empty tank at the peak would cost over $60. Now it would cost a much more reasonable $37. And for those who rely on their car as the main method of transportation, that’s a big deal. It’s been estimated that over the course of 2015, Americans will save on average $700 thanks to the dip in gas prices. That’s more than government stimulus checks in recent years, which paid out between $300 and $600. And they’re spending it—most of it, at least. According to the J.P. Morgan Institute, Americans are spending about 80 cents for every dollar they’ve saved. They’re going out to restaurants—which accounted for nearly 20 percent of gas savings—shopping for clothes, and buying groceries, electronics, and appliances. 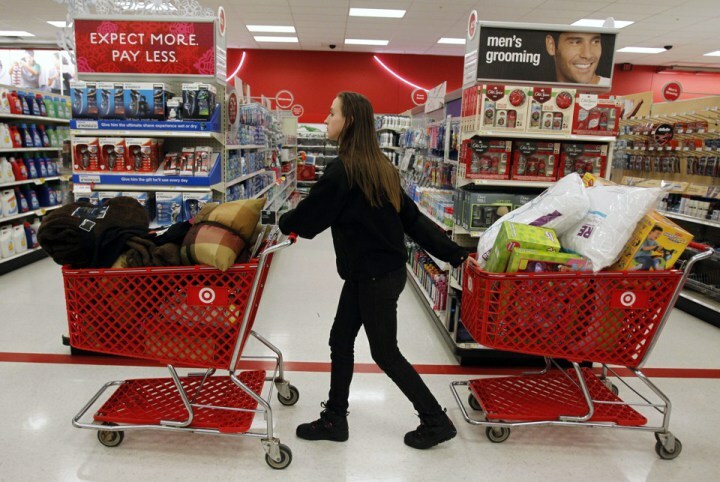 These findings imply that Americans are feeling surprisingly upbeat about the economy. Were they more pessimistic, economists would expect them to be saving a greater portion of the money for the expected tough times ahead, or using the money strictly for essentials, like housing and bills. Other recent reports on the impact of lowered gas prices have painted a less optimistic picture. The Council of Economic Advisors puts the consumption bump at closer to 45 percent of gas savings, and a Gallup poll found that though nearly 60 percent of respondents said they’re feeling the positive effects of lower prices, only about one-quarter said that that they were spending the extra money. The bulk of respondents told Gallup that the money was going toward bills or savings. So what explains the difference? The study’s authors, Diana Farrell and Fiona Greig note that these discrepancies could be related to sample size or more limited data in those surveys. In their study, J.P. Morgan analyzes the spending of 25 million clients via transactions on debit and credit cards between October 2012 and June 2015. While that certainly is a robust sample, it too has its own limitations and biases. For instance the bank’s data won’t capture transactions made with cash or on other credit or debit cards, which could be money that families are using for essentials rather than a night out or a new television. The data could also be skewed to reflect the habits and demographics of the bank’s clientele. For instance, the survey finds that gas bills account for only 2.9 percent of individual’s incomes in 2014 while the Consumer Expenditure Survey reports that it accounts for 3.7 percent, which could reflect a difference between where these sample groups live, their access to public transportation, or their income. Nonetheless, some of the broad trends are intriguing. The data show that the gas-price infusion is obviously not spread equally among all Americans. It’s more heavily concentrated among those who live in the South and Midwest where people drive more, over greater distances, and have decreased access to and use of public transportation. The savings are also more meaningful for low-income households—who saw their monthly disposable income climb by more than 1 percent for those pulling in less than $30,000 a year—and young people. Though the money spent on gas makes up a nominal amount of consumption in the grand scheme, the impact of gas prices on American families can be a telling way to assess how confident people are feeling about spending. It could also help predict spending trends should prices hold steady, or increase in the future. That could help inform policy decisions on things like gas taxes. For an economy that’s been puttering along with little wage growth, increasing costs of living, and little disposable income—spending is a good thing. It puts more money into businesses, which then creates more jobs and helps spur further economic growth. And there hasn’t been quite enough of that since 2008. Comments Off on What Would Americans Do With an Extra Couple Hundred Bucks? A longtime friend of mine, Duane Gomer, is a local expert/provider of real estate education. Below is a recent post of his. “There is a lot of misunderstanding about giving someone gifts and the tax consequences. It is not a simple matter and before gifting large sums (not just cash but anything of value) get professional advice. You will be glad you did. Sleeping at night becomes more difficult during an IRS Tax Audit. 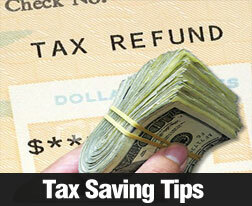 Most people know that you can gift up to a certain amount to someone with no tax problems. Currently, the amount is $14,000 per year and your spouse could also contribute $14,000 per year so in our case with four children we could gift each one $28,000 or a total of $112,000, and we could throw in five grandchildren for another $140,000. That is $252,000 per year, and you can give the same $14,000 to relatives, parents, friends, etc. with no tax. Wouldn’t take too long to give away all we have. You can add even more by making direct tuition payments for students or direct payments of a person’s medical expense. You can even use a 529 plan to give more. Do not do any of these gifting ideas without professional advice to make sure your tracking meets IRS rules. What if we want to give one child the $252,000? We can do whatever we want, it is our money, but is there any tax to pay that year if this is the first gift that we have ever given. No, No, No. This year the estate tax exemption is $5.43M. You can gift up to that amount in any year without tax to pay, BUT any amount over $14,000 for that year must be reported, and the amount is deducted from the $5.43M for later. New research challenges the conventional wisdom on the financial crisis. In the years following the financial crisis, a cottage industry arose that tried to explain just what happened to the American economy and the financial system. Early on in the process, journalists zeroed in on one set of villains: subprime lenders and the supposedly irresponsible borrowers who were their customers. We were regaled with stories of mortgage lenders like Countrywide handing out loans that borrowers couldn’t possibly repay, and then selling them on to investment banks, who packaged them into “toxic” bundles like Goldman Sachs’ infamous Abacus collateralized debt obligation. When these subprime borrowers began to default, so the narrative goes, the dominoes began to fall, eventually helping to send the entire mortgage market, U.S. financial system, and global economy into crisis. Furthermore, much of the reforms instituted since the financial crisis have centered around increasing scrutiny of mortgage lending, to make sure that these sorts of irresponsible loans aren’t made again. But if journalism is the first-draft of history, then it’s about time for a second draft. In a new working paper by Wharton economists Fernando Ferreira and Joseph Gyourko, the authors argue that the idea that subprime lending triggered the crisis is misguided. The paper looks at foreclosure data from 1997 through 2012 and finds that while foreclosure activity started first in the subprime market, the foreclosure activity in the prime market quickly outnumbered the number of subprime foreclosures. While subprime borrowers default at a higher rate than prime borrowers, Fierra said in an interview with Fortunethat the data shown above suggest that the foreclosure crisis would have happened even in the absence of such risky lending. “People have this idea that subprime took over, but that’s far from the truth,” says Ferreira. The vast majority of mortgages in the U.S. were still given to prime borrowers, which means that the real estate bubble was a phenomenon fueled mostly by creditworthy borrowers buying and selling homes they simply thought wouldn’t ever decrease in value. We can draw two conclusions from this data. 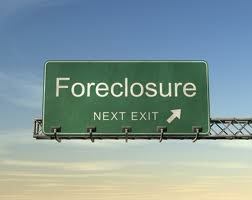 One is that your chances of being foreclosed upon in the past decade was more a matter of timing than anything else. If you were a subprime borrower in, for instance 2002, who bought a bigger house than a more prudent and creditworthy borrower would have bought, chances are you would have been fine. But a prime borrower who did everything right—bought a house he could easily afford, with a large downpayment—but did so in 2006 would have had a higher chance of defaulting than the subprime borrower with better timing. Since whether you were hurt by the crisis had more to do with luck than anything else, Ferreira argues we should rethink whether doing more to help underwater homeowners would have been a good idea. Furthermore, we still don’t have the tools to understand the cycles of real estate prices, or to recognize bubbles, in any asset class, before they form. So it would be a mistake to think that any regulatory reform will offer fool-proof protection against the next financial crisis. As warm weather rolls across most of the country, it’s time to start thinking about how to protect and care for your home when the mercury soars. What can you do to ensure the summer sun doesn’t cause damage to your home? Heat stays out, cool stays in. That’s the general idea, right? Check the weather stripping around doors and windows to make sure you don’t have a leak where your air conditioning can escape. This is a good time to assess the state of your insulation as well. Many power companies also offer home energy-efficiency assessments — often at no cost — to help you pinpoint places where the heat is creeping in, and often they’ll supply solutions too. 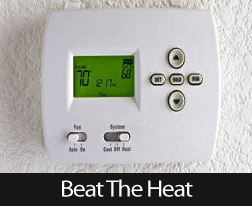 Don’t wait until you really need the air conditioning to make sure it’s working properly! If something goes wrong at the height of summer, it could be weeks before repairs can be made. Replace your HVAC unit’s filters, and consider having your air ducts and vents cleaned out and the seals checked. Your ceiling fan, that is: Many types have a way to reverse the direction they spin. In summer, the blades should rotate counterclockwise in order to maximize the fan’s beneficial effect on your home’s temperature. Most people spend more time outdoors when temperatures rise. Check the boundaries of your property for damage to fences, security lights, and gate locks. Clear away any long grass that may have grown up next to fences as they can harbor fleas and ticks. Reset timers on sprinklers and outdoor lights in consideration of the longer hours of daylight. Paint: It’s not just for looks. Although we generally think of a new coat of paint as a cosmetic indulgence, it actually helps to protect the home from the effects of strong heat and sun. While you’re at it, check the deck to see if it needs a fresh coat of sealant as well. Washing the windows will ensure you can enjoy the summer sunshine. And speaking of windows, check screens and shutters for damage too. If you love to entertain outdoors, or you want to live off barbecue for the next few months, your summer fun equipment will need a good once-over. Hose down patio furniture and check cushions to see if they would benefit from a good wash and a chance to dry in the fresh air or if they’ll need to be replaced. Clean off the bbq and fill the propane tank [or stock up on briquettes]. Before it gets too hot, an inspection of the roof and attic is a great idea. Check outside for missing shingles or other signs of damage. Trim back tree branches that could be used by local critters as stepping stones to get onto and then under your roof. Check out the gutters while you’re up there too. Then head inside to examine the attic for leaks, holes, and signs of animal trespass. We may think of summer as a time for vacations, but we never really get a vacation from taking care of our homes. I hope these tips help you have an enjoyable summer! Since being introduced back in 2009, both and the Home Affordable Modification Program (HAMP) and the Home Affordable Refinance Program (HARP) have helped millions either avoid foreclosure and/or save money on monthly mortgage payments. Both programs have been deemed pretty successful, though the numbers did fall short of original projections (as everyone probably expected) despite several annual extensions. I think the original estimate was nine million. Since HAMP was launched in the spring of 2009, a total of about 1.5 million homeowners have received permanent loan modifications through the fourth quarter of 2014. Nearly 2.3 million trial modifications were started but fewer than one million are permanent and still active either because of a positive outcome such as loan payoff or alternative modification, or because of something negative like a short sale or foreclosure. This has resulted in aggregate savings of approximately $32.7 billion compared with prior unmodified mortgage obligations. The goal of HAMP is to get the borrower’s front-end DTI ratio down to 31% by reducing the interest rate, extending the loan term, and potentially forgiving principal. About 95% of HAMP loans received an interest rate reduction, though those are temporary and subject to rise. 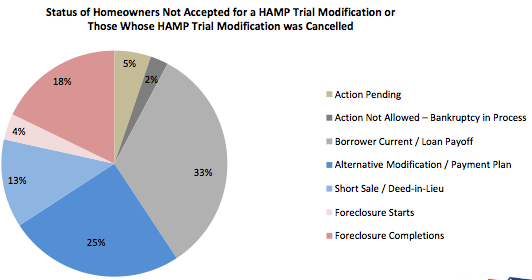 Just over 60% of HAMP borrowers received a term extension and less than a third (30.3%) received principal forbearance. The Home Affordable Refinance Program (HARP) is a program that allows underwater borrowers with Fannie Mae- and Freddie Mac-backed mortgages to refinance to take advantage of lower interest rates. It originally allowed borrowers to refinance with LTVs as high as 105%, but that number was later increased to 125% and eventually the cap was removed entirely for most types of loans. Over the years there were pleas to expand the program and open it up to borrowers with non-agency mortgages (remember HARP 3), but those demands fell on deaf ears. To date, roughly 3.3 million borrowers have taken advantage of the program, though the numbers have been waning lately. Around 10,000 borrowers are refinancing monthly via HARP nowadays. This is not unexpected given the fact that most have already applied for assistance under the program or no longer need it thanks to rising home prices. During FHFA director Mel Watt’s speech at the Greenlining Institute 22nd Annual Economic Summit last Friday, he spoke about both programs and revealed that HAMP would be finished after one final extension through the end of 2016. 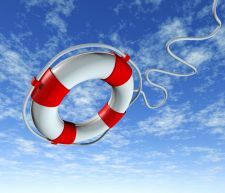 Since March 2013, Fannie and Freddie have also offered a proprietary Streamlined Modification that requires less paperwork than HAMP, and this could serve as an ongoing loss mitigation solution for borrowers. Apparently some 600,000 plus borrowers could still benefit from HARP though they’ve yet to come forward for one reason or another. From Bob Phillips: Over the past couple of years, local house prices have risen substantially, which may help in two different ways. First, former underwater homeowners may now actually have some equity, hopefully allowing a little breathing room. Second, owners having difficulty making their payments on a loan that has a high interest rate, may, in fact, be able to refinance now, where they couldn’t before, staying in their home with a lower payment, OR, they may now be able to sell their home without going through a short sale, getting themselves out from under a terrible loan that they’ve been living with, for years. Even if the home is STILL underwater, solutions have become easier to accomplish, if you’re dealing with an agent who has both training and experience, in dealing with distressed loan situations. I, Bob Phillips, have both the training, and the experience, to help you sort out the many options you might have. If you – or someone you know – is still having difficulty making their house payments, please consider calling me at (949) 887-5305, or shoot me an email to BobPhillipsRE@gmail.com. Your mortgage payment may be among the largest payments you make every month. While certainly an important part of your budget, this payment is also critical to helping you build equity in your home because it attributes to mortgage principal reduction. 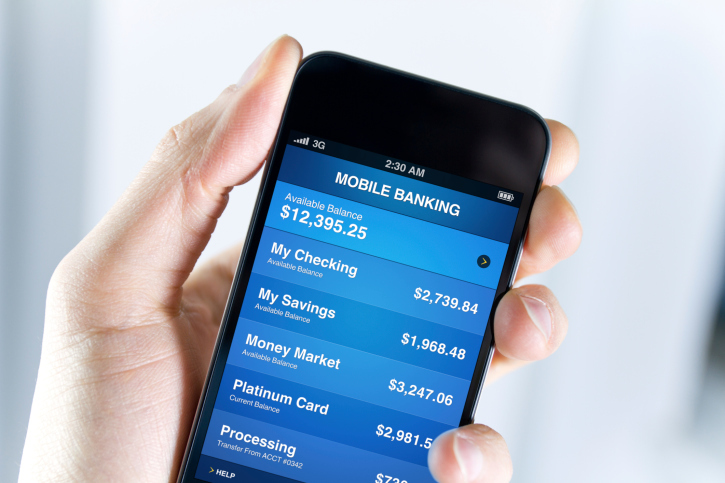 Managing your mortgage payments can be challenging, but there are some incredible apps available for use with Android or iPhone smartphones that can simplify your mortgage management tasks. This app is available for both iPhones and Android devices, and is designed to be compatible with all types of mortgages. It can calculate PMI for adjustable rate and variable rate mortgages, and it can help you to determine the true cost of a mortgage. Through the use of this intelligent app, you can track your account information in real-time, or you can manipulate the numbers to help you to make more thoughtful and intelligent decisions about your finances. This app is only currently available on iOS devices, but those with this operating system may want to download it today. It has some of the same capabilities as Mortgage Mentor, but it goes a step above and beyond by providing you with mortgage payment notification reminders. It also has a unique feature that allows you to set a final payoff date for your mortgage, and it will calculate how much money you need to pay per month toward your mortgage to accomplish this goal. The Bill Payment Log app is a unique program that can entirely replace the outdated manual entry checkbook balancing task. It is suitable for use with iOS, Android and even Windows. You can use it to monitor and track payments for all credit accounts, including mortgages. While it does not have the analytical tools associated with some of the other mortgage apps, those who are looking for an all-in-one app that facilitates bill payment tasks for all accounts, this may be a great option to consider. Making your mortgage payments on time is important, but you also may need to know if you need to pay extra each month and what the effects of that will be. You may also be concerned about “what if” scenarios for your adjustable rate mortgage. There are numerous apps available on the market today that can help you to facilitate your efforts, and these are among the leading choices available. Size matters when you are buying your next home. Whether you plan to expand your family, need more room for your stuff, or are concerned with resale value, you want to get the most space for your money. Also, if you want to add a feel of luxury to your home, one of the best ways to do it is to create open spaces rather than cramming all your furniture in rooms so tiny you can barely walk around without knocking something over. 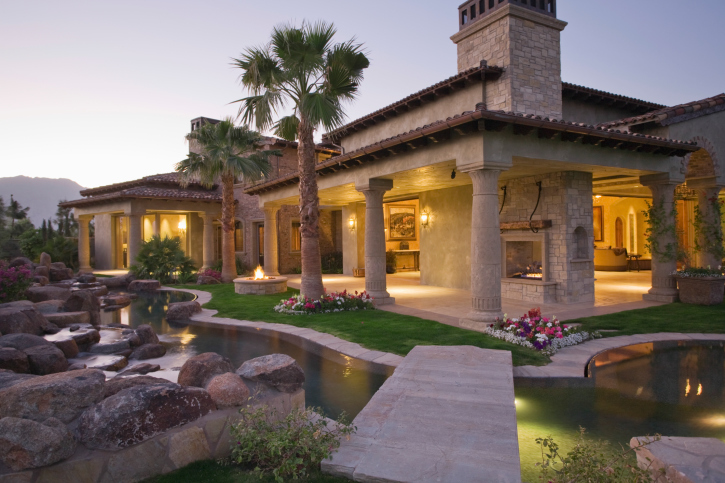 Traditionally speaking, the larger a home is, the more it costs. If there are two newly built houses side by side in a subdivision, the bigger one is likely to cost more. However, there are some tricks to finding spacious houses that are affordable. Houses in this year’s trending neighborhood are at their peak prices. Clever buyers look for neighborhoods that are in the process of being gentrified, buying at the bottom rather than the top of the market, to get more house for their money. Houses in perfect condition, that show well, sell for a premium. If you want to get more house for your money, choose something that needs a bit of TLC. A house that has pink walls and orange shag carpet might appear just too ugly to consider when you first view it, but it might just need a few coats of paint and some new carpet to become a spacious dream home. Unfinished areas such as attics and basements can be finished to create additional living spaces. The basement could become a family room and the attic an extra bedroom or study. An unfinished space can become the extra bathroom you need to make morning more manageable. Contractors can add rooms to a house. If you have a large lot, you can build an extra wing. With a one story ranch house, it may be possible to raise the roof and add a second story. The more stuff you have, the smaller your home appears. Reduce clutter and invest in smaller condo size furniture to give even the smallest home the appearance of spaciousness. Give me a call – (949) 887-5305 or shoot me an email BobPhillipsRE@gmail.com and let’s talk about your options. Should You rent or buy? This is a question many would-be homeowners ask themselves. All too often You are left with the thought that owning is simply unaffordable. Fortunately, I have news for anyone who is “on the fence” about buying or renting; the decision to buy might become a little easier, as a new study from USC predicts that rents will rise over the next two years. According to the research performed by USC’s Lusk Center for Real Estate, rents across Southern California are expected to rise significantly by 2016 – the latest reminder of growing affordability difficulties throughout California. In Los Angeles County, it’s expected rents will jump by 8.2% by 2016, increasing to an average monthly rent of $1,856. Similarly, rents are expected to increase by 8.6%, 9.9% and 6.9% across Orange County, the Inland Empire and San Diego County respectively. On average, the SoCal region is expected to see an 8% bump, increasing faster than the 3%-4% rise we’ve seen this year, or more than 10% since January 2013. What impact will higher rent have on the housing market? While the study from USC suggests that rental vacancy rates will slightly decline, many RE professionals are certain that this bump will be enough to drive some renters back into the buying market. In South Orange County, we are presently entering the Fall buying season, during which prices tend to become more negotiable. ( I usually recommend this time of year – until the end of January – as THE best time of the year to buy a house.) Softer, more negotiable prices, combined with historically low interest rates, make for an unusually good environment, for buyers. If you’re even just in the thinking about it stage, this might be a good time to get serious, and give me a call. This is a recent blog by one of my preferred lenders, Kevin Budde, of Prime Lending. Kevin has been doing loans in South Orange County for over 40 years, and I highly recommend him and his team, for any type of residential lending services. Many Baby Boomers are selling their homes and downsizing these days. A question that is becoming more frequent is, “How do I transfer my current property taxes to a home I wish to purchase?” Most everyone in the real estate industry is aware of Proposition 60/90 but to articulate the guidelines and to not give wrong information is difficult. 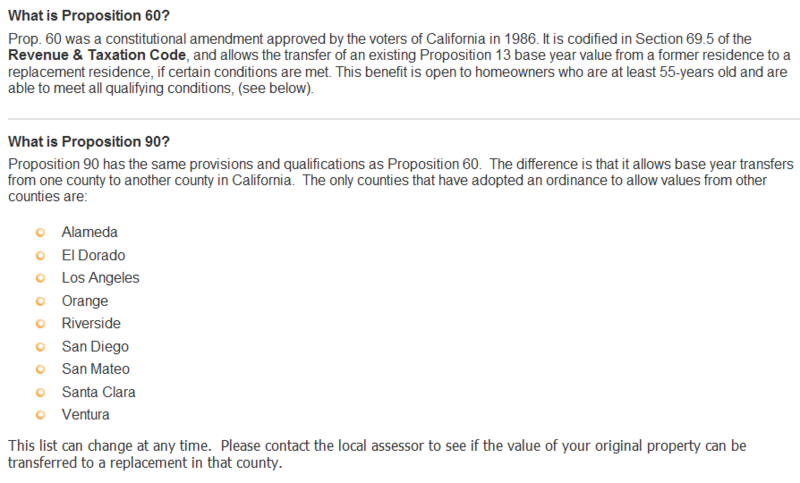 I find myself referring clients to the County Tax Assessors Office website for the technicalities of the Propositions. I decided to furnish the basics below to you and at the very bottom the URL address for the Assessor’s office. This is good information for any of your client’s that are thinking of making a move. If they are unaware of the ability to save on property taxes you might want to share this with them. Nearly 1 million properties returned to positive equity in the second quarter of 2014, bringing the total number of mortgaged residential properties with equity in the U.S. to more than 44 million. The latest CoreLogic report revealed that 946,000 residential properties regained equity, and nationwide, borrower equity increased year over year by approximately $1 trillion in second quarter 2014. Negative equity means that borrowers owe more on their mortgages than their homes are worth. However, there are still approximately 5.3 million homes, or 10.7% of all residential properties with a mortgage, that are still in negative equity as of second quarter 2014. This is compared to 6.3 million homes, or 12.7%, for first quarter 2014, and a negative equity share of 14.9%, or 7.2 million homes, in second quarter 2013, representing a year-over-year decrease in the number of homes underwater by almost 2 million, or 4.2%. 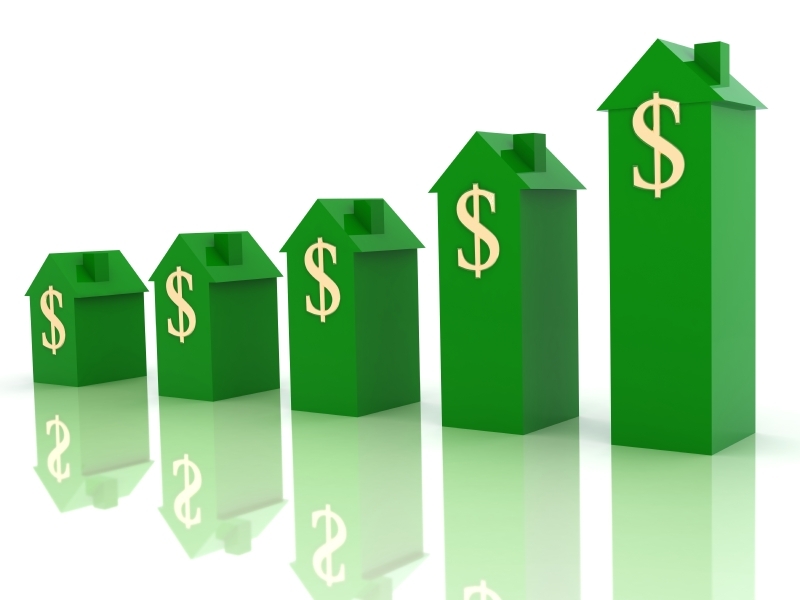 “Many homeowners across the country are seeing the equity value in their homes grow, which lifts the economy as a whole,” said Anand Nallathambi, president and CEO of CoreLogic. “With more and more borrowers regaining equity, we expect homeownership to become an increasingly attractive option for many who have remained on the sidelines in the aftermath of the great recession. This should provide more opportunities for people to sell their homes, purchase a different home or refinance an existing mortgage,” Nallathambi added. For the homes in negative equity status, the national aggregate value of negative equity was $345.1 billion at the end of second quarter 2014, down $38.1 billion from approximately $383.2 billion in the first quarter 2014. Year-over-year, the value of negative equity declined from $432.9 billion in second quarter 2013, representing a decrease of 20.3% in 12 months. The initials after my name, above, CDPE, stand for Certified Distressed Properties Expert, and reflect some unique training I’ve received, over the past several years. They also validate that I have both training and experience, in guiding homeowners who are having difficulties with their mortgages, to solutions, either in continuing to keep their homes, or in assisting them to get out from under an unmanageable mortgage, and on with their lives, as painlessly as possible.